In the ten years since Amazon Web Services officially launched, it’s become a $10 billion business — making it both Amazon’s most profitable unit and the one to beat in the mega-hot cloud computing market. But it’s also been bad news for legacy technology vendors like Oracle, Dell/EMC, and Cisco, as customers increasingly turn to Amazon, along with competitors like Microsoft and Google, to outsource their existing data center infrastructure. 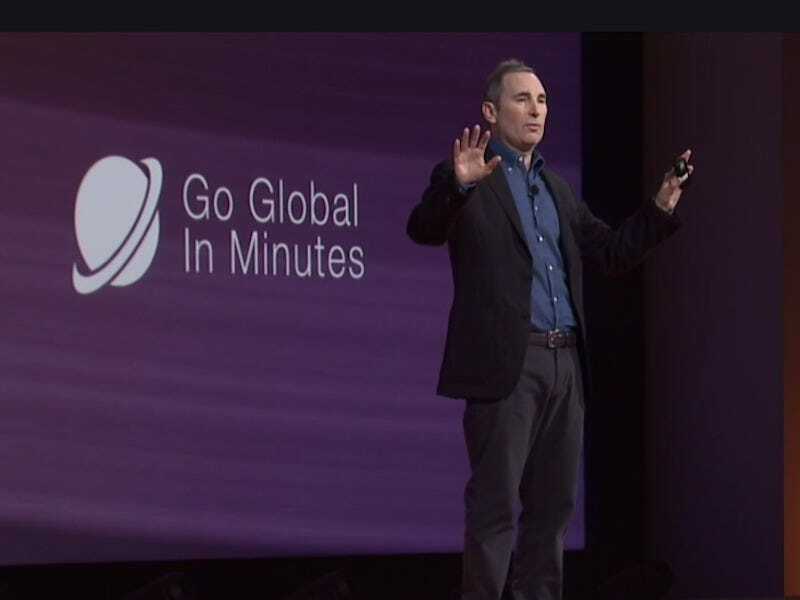 On stage today at an Amazon event in Washington DC, newly-named Amazon Web Services CEO Andy Jassy lays out the three factors that have led customers away from the old guard of technology vendors and into its cloud. “We are an extraordinarily customer-focused company.” Where legacy tech companies are “competitor-focused” or “product-focused,” Jassy says, Amazon Web Services spends 90% of its time doing what customers want, and the other 10% doing what customers need but can’t articulate. “We’re really long-term oriented.” Jassy says that they’d rather take a short-term hit to profits in order to ensure long-term customer relationships. AWS salespeople will never call on the last day of the quarter with a special deal just to goose their numbers. In fact, Jassy says, if you’re not using all of the Amazon Web Services capacity you’ve paid for, they will get in touch so you can lower your rate plan — which has resulted in $350 million in lost revenue. “We’re trying to build a business that will outlast all of us in this room,” Jassy says. Still, Amazon has gleefully taken advantage of the migration away from older tech vendors, with promotions specifically targeted to get Oracle customers to move their databases to Amazon Web Services. On stage, Jassy couldn’t resist taking a few shots at Oracle, mentioning a few times that putting your databases Amazon Web Services offers a lot more flexibility and choice than the company that Larry Ellison built — since customers on AWS can use Amazon’s own Aurora, or any of the other databases supported by the platform. “You’re going to get a lot more database freedom,” Jassy says.